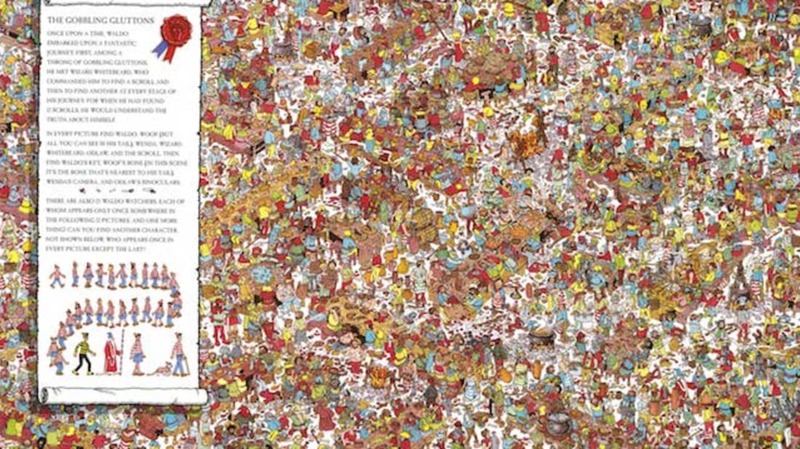 If you consider Where's Waldo more of a challenge than an activity, a new algorithm has created a solution that will help you cut out all that pesky searching. Stranded at home after one of the many recent snowstorms, Randy Olson—a doctoral student at Michigan State University’s High-Performance Computing Center—wondered if he could best Slate’s supposed “foolproof strategy for finding the missing man,” which found that there's a 53 percent chance that the cartoon man is located in one of two 1.5 inch horizontal bands that stretch across each spread. While true, this is not the most useful hack for sussing out any one particular Waldo. First, Olson mapped out all of Wally’s positions across all 68 of Martin Handford’s books published since 1987. Through a statistical process that measures probability, he learned that there are some places Waldo almost never appears: The top left or bottom right corners. Next, he applied a genetic algorithm that recreates the process of natural selection by testing all possible patterns to find the best one through trial and error. “Genetic algorithms continually tinker with the solution—always trying something slightly different from the current best solution and keeping the better one—until they can’t find a better solution any more,” Olson explained on his blog. And what he and the algorithm came up with is a search path that optimizes your chances of quickly tracking down Waldo.